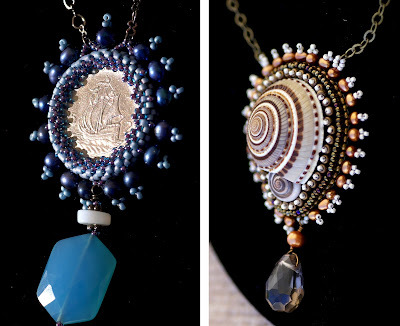 Beautifully & Colorfully Beaded Art Jewelry, Framing Found Objects. 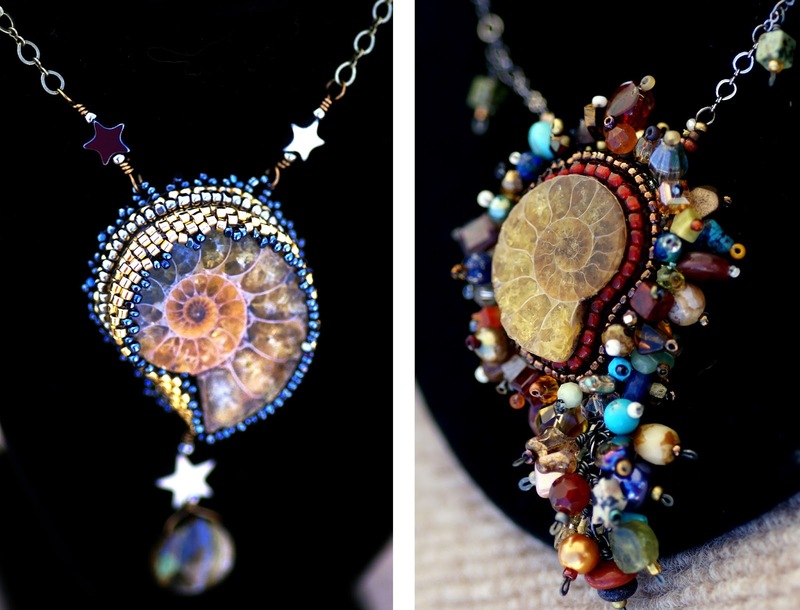 Passionate Crafting, Shared through Necklaces, Earrings & Tutorials. There are lots of ways that found objects find a new life in Art. Upcycling has become a common practice these days, and frankly it's one of my favorite techniques to see, especially when it's done as artfully as the beautiful beaded jewelry of Laura Zeiner behind Stick Lizard Designs! 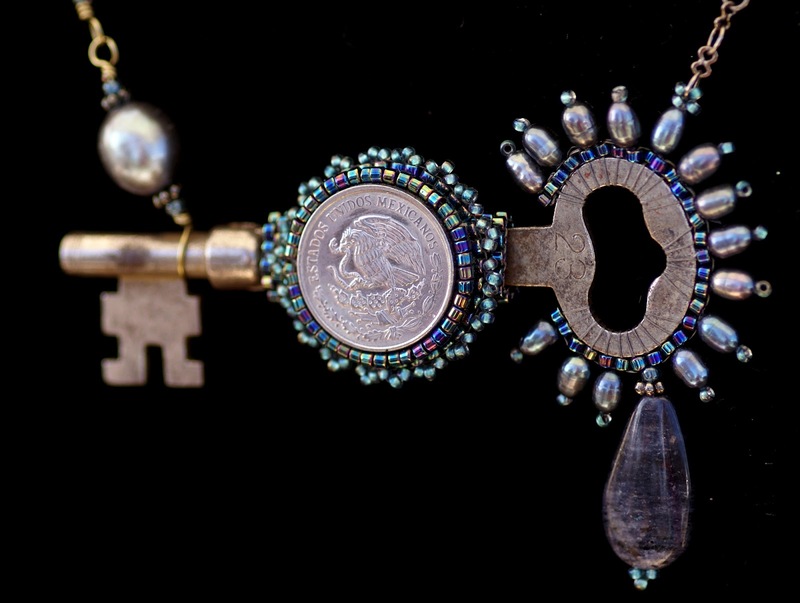 The pieces of Laura's that first caught my attention included items like vintage keys and coins wrapped in what is best described as beaded "embroidery." I was immediately impressed by how wonderfully her colorful arrays of beads framed each found object in intricately interwoven designs. Clearly this takes patience and skill, working with little bitty beads and getting everything to weave together so seamlessly! All of the materials used in these pieces create such a stunning visual harmony, one accentuating the other and vice versa. I honestly don't know if the found objects stand out more than the beadwork, but together they make a wonderfully composed piece of wearable art! Laura is also known to work with fossils and other eye catching stones which is also a form of repurposing. She has a passion for beading, and it really shows through her work! What's more, she wants to share this love of art with others, and she does so by hosting classes and bead exchanges as well as sharing tutorials. Through these efforts, she's supporting the beading community, helping new people get involved and developing relationships between veteran beaders. It's wonderful when your passion can have such bright and colorful impact on others! I look forward to seeing more of the results Laura's work, solo and in collaboration with other beading talents!